For those of you who are travelling to Australia or New Zealand anytime soon, do you know that you are able to self-drive while abroad? Self-driving allows you to explore and truly experience the country itself, especially when it comes to Australia or New Zealand, which are filled with just so many places of interests and not forgetting tons of natural landscapes at the luxury of your time. This can only happen if you have not bought a travel package with a pre-planned itinerary and a tour guide that restricts the time and venue during your stay there. With a car to add to your convenience, you can arrange your own destinations and wake up at any given time, having full control while travelling. In order to self drive overseas, you do not need to have a family member there in order to drive around. Essentially, all you need would be a valid driving license, depending on the country of visit, you may also be required to apply an international driving permit, a functional GPS which maps the respective country, or a prepaid data card (which you can get locally or in airports), to gain access to your Google Maps on your mobile. That being said, while most traffic signages are similar throughout the world, another culture drivers will get to experience first hand would be the driving culture of that particular country, how different are drivers and driving etiquette as compared to driving in Singapore. So long as you have prior driving experience and the confidence to drive in foreign countries, you are all set to go! Most countries offer car rental services for tourists as soon as they touch down from their flight, travellers are able to easily locate them as they make their way out of the arrival gates, keep a look out for car rental signs (The above icon is an internationally recognised car rental icon), or enquire with the available booths and information counters if you are not able to find one. Likewise, you are able to also book your car rentals online as well! This may be something that you may already be aware of, but did you know that you are able to get car rental coverage in your travel insurance as well? These days, an insurance is almost required for everything that we are doing. Health insurance to cover hospitalization bills, car insurance to cover our vehicles repair costs, home insurance to cover any thefts and natural disasters, and of course a travel insurance to insure you while you travel abroad. A comprehensive travel insurance should cover almost all uncertainties which you may be prone to while out of your home country. Most insurers would offer coverages such as lost of baggage, delayed flight, medical bills from overseas, and of course rental car excess. Need an adviser to help you as you buy car insurance for your self drive holiday? Let Comparekaki walk you through it. WHAT IS A RENTAL VEHICLE/CAR EXCESS? From the given term, we are able to infer that it has something to do with car rentals while driving overseas. But some would be confused with the term excess as well. The most layman way to explain what a car rental excess simply means is that you would be covered by a fixed amount if you were to rent a vehicle from abroad and damage it or get into any car accident. For drivers who frequently drive while they are travelling overseas, foreign car rental companies would often prompt this question, if you would want to get an optional insurance coverage for the car, but do you know that if your travel insurance has a rental vehicle excess, you need not get another insurance from the car rental company just to insure yourself in case the car were to be damaged or if you were to meet into an accident under your custody? There is a fixed amount of rental vehicle excess each insurers would offer. This excess would serve its purpose if you were to damage the car overseas, the costs to get it repaired is $1,000, and the rental vehicle excess amount that you are being granted is $100, this means that you are required to pay $100 and the insurer would absorb the remaining costs of $900. 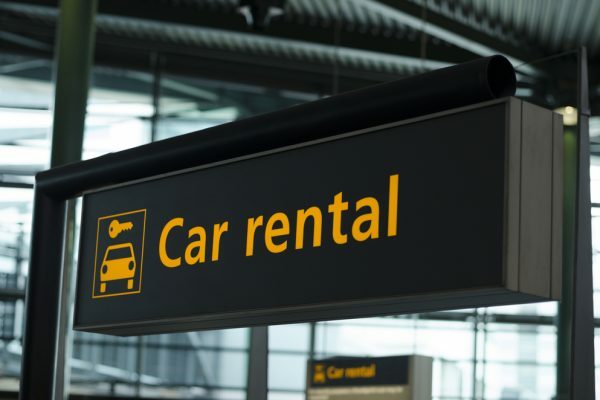 The rule of thumb is to find a rental vehicle access that has a low excess, in the event if there were to be a mishap, you need not make hefty amounts of payment to the car rental company. Your insurer would absorb and help pay off the majority of the expenses incurred, else the whole sum of it if it were to fall below the excess amount. WITHOUT ANY RENTAL VEHICLE EXCESS? It is not wise to not have any rental vehicle excess or to exclude it out from your travel insurance. This way, you would need to get one from the car rental company directly, else if you were to damage the car while it is under your care for that X amount of days spent there, the car rental company has the right to charge you directly with big exorbitant amounts of car repair which can easily go up to $4,000 – $8,000. 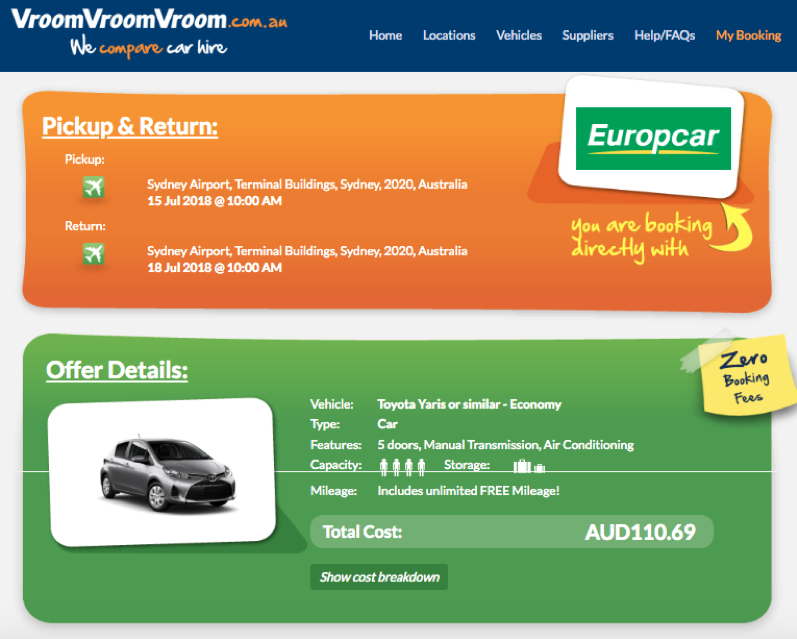 This is an example from VroomVroomVroom, a car rental company where they offer car hire protection which is totally optional to drivers if their travel insurance were to have the option of a rental vehicle excess. In this case, if you were to make an additional payment of AUD 98.62 as a premium, you are being covered for any car repair costs that goes up to AUD 6,000. Any costs exceeding this amount would still be payable by you..
IS THERE A WAY TO NOT PAY AT ALL? Yes, of course you are able to not pay at all. However if you wish to not make ANY rental car damages costs, your premium will be much more higher as compared to those you get to see online. You would have to call up or enquire from the respective insurer you are taking your travel insurance from and ask them if there is an option to remove the excess, meaning to say that no matter the amount, you do not have to worry at all. With this trade off, there is a price to pay, the premium would not be what you are seeing from a typical travel insurance rental vehicle excess. Do expect a different quote with a higher premium. Not all insurers allows the option of getting a zero rental vehicle excess, hence it would be best to enquire with them before purchasing a travel insurance. As this is a special request, you may be required to meet up with an agent, or call/email them separately to see there is a coverage like this available for you. 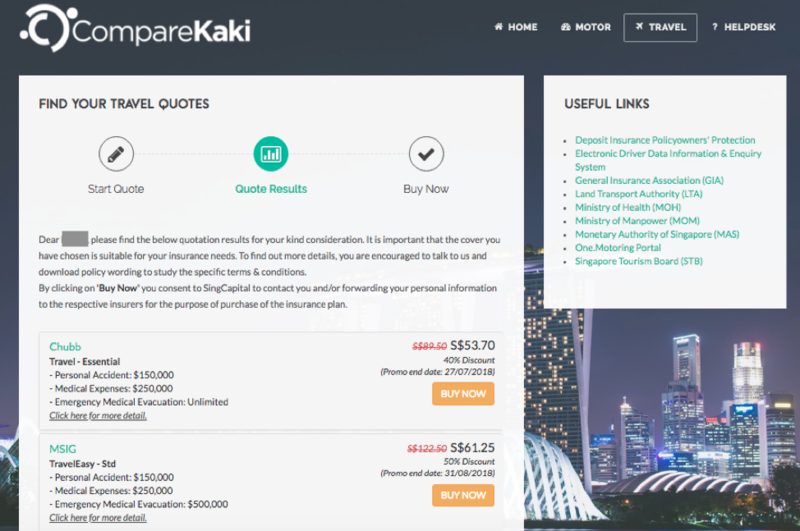 Sites such as CompareKaki can save you a whole lot of time to go through the hassle of curating, making comparisons from all the different insurers available, however every insurance company has their own rental vehicle excess amount for the premium presented to you. If you have narrowed down the travel insurance to the one that fits you in terms of coverage and premium, simply enquire with that particular company to see if they have the option to “zero” the rental vehicle excess, where you need not fork out any amount if you were to meet in a car accident during your travel. Always look out for the rental vehicle excess and if the amount fits your lifestyle and the type of car you are renting for your trip. Need more help with your car insurance purchase? Get advice from CompareKaki.